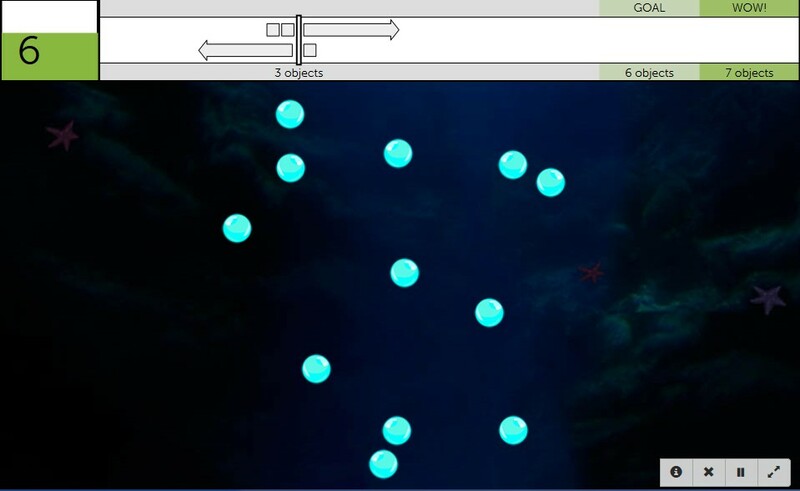 In Target Tracker you will be presented with one or more objects such as jellyfish, puffer fish, or bubbles that you must visually keep track of when they move around the screen along with other objects that we add, called ‘distractors’. Those three objects start moving around, keep an eye on them. Then at some point all the objects stop moving. Your task is to identify the original three objects by clicking the objects or touching (in case of touch-screens). Objects travel more quickly over larger areas for longer amounts of time. 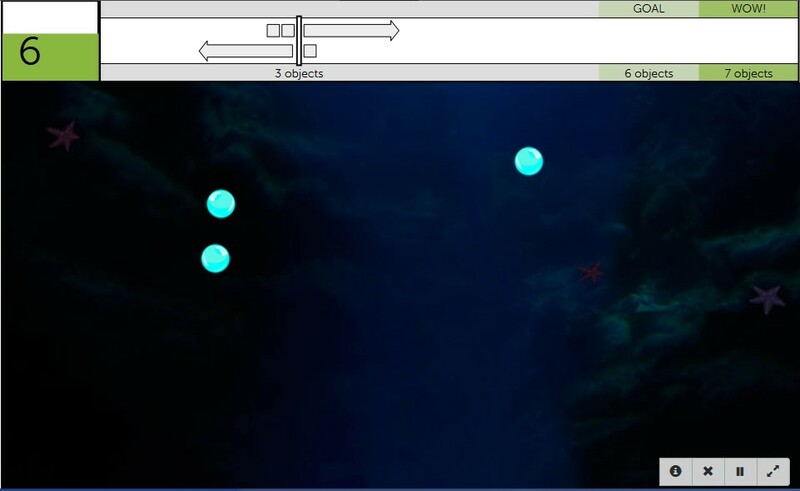 It becomes harder to track targets as the contrast between the background and the moving objects decreases. 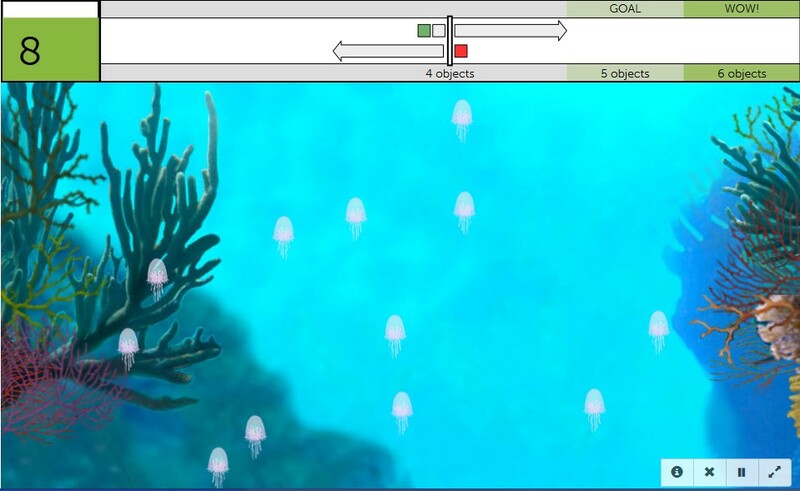 Here is a screenshot for the jellyfish on a soft-color background.